The Town of Maine Cemetery, located at the southeast corner of Touhy Avenue and Dee Road in Park Ridge, Illinois, is a hallowed place and historic landmark. Visitors enjoy the park-like beauty of the grounds, as well as the unique designs of many of the monuments. The 17.5-acre Cemetery is home to a large grove of magnificent oak trees. Willows, maples and elms grow here, too. Pines, firs and spruces are among the evergreens that provide year-round foliage. Wildlife enthusiasts will see rabbits, squirrels, chipmunks, foxes, raccoons and an occasional deer. Bird watchers will spot cardinals, blue jays, finches, woodpeckers, geese, ducks, owls and hawks – to name just a few. A remarkable variety of monuments contribute to the Cemetery’s special character. They reflect the people they honor. You will see magicians’ wands, musical notes, fishing rods and other emblems on headstones. A visitor favorite marks the grave of Helen Cornelius Bowden. A Scrabble board monument cleverly records several aspects of her life. Personal touches such as these are not allowed at many cemeteries; but they help make the Town of Maine Cemetery a very special place. 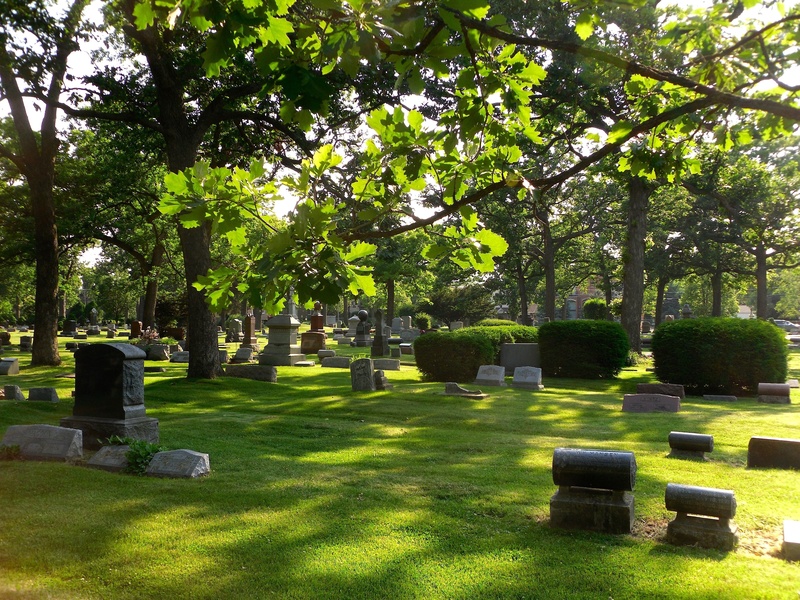 A Sexton and professional staff provide day-to-day management of the Cemetery. Responsibility for overall direction, guidance and oversight belongs to the Town of Maine Cemetery Association and its Board of Trustees comprised of volunteer members elected to two-year terms. 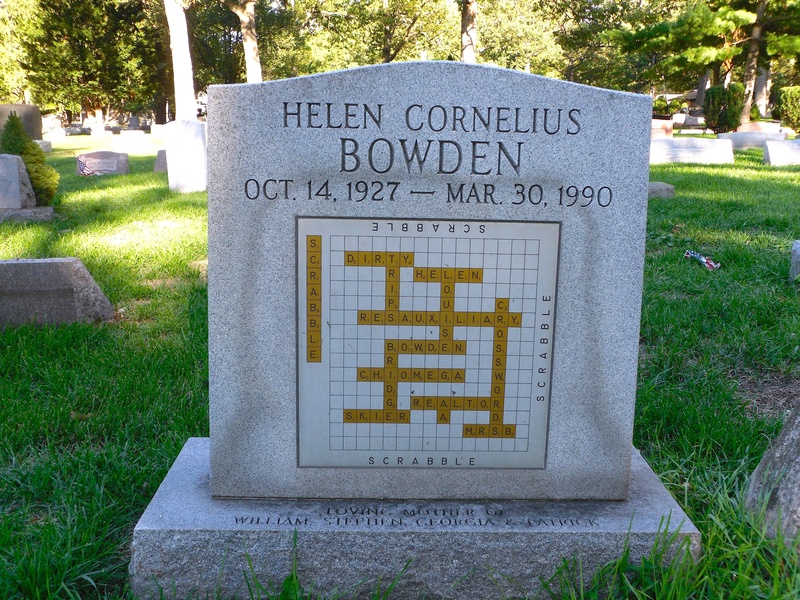 Several aspects of Helen Cornelius Bowden’s life are recorded on her Scrabble board monument. A remarkable variety of headstones can be seen throughout the Town of Maine Cemetery.